Ambiance plus to carry on the romance of the wedding, float these petals in the fountains, or the tables in large vessels or ponds and pools. If you are on the ocean or the lake have the guest throw them on the water for a dramatic memorable effect. Make sure you save lots for your private jacuzzi, show your love, there is no limit to your love. 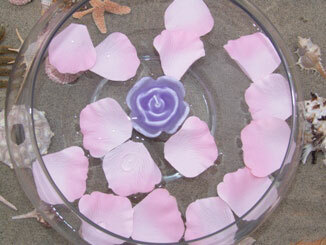 These perfect petals add that little extra that will put your wedding in the next level for minimal expense. Have the best at your affair. Each bag contain 200 floating rose petals.